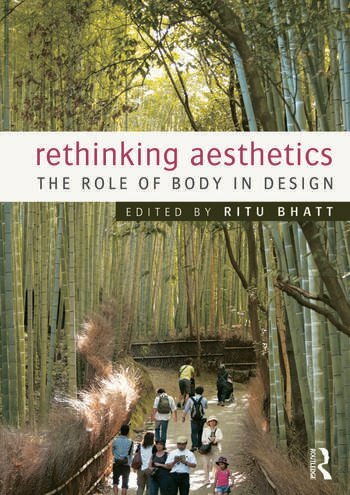 Rethinking Aesthetics is the first book to bring together prominent voices in the fields of architecture, philosophy, aesthetics, and cognitive sciences to radically rethink the relationship between body and design. These essays argue that aesthetic experiences can be nurtured at any moment in everyday life, thanks to recent discoveries by researchers in neuroscience, phenomenology, somatics, and analytic philosophy of the mind, who have made the correlations between aesthetic cognition, the human body, and everyday life much clearer. The essays, by Yuriko Saito, Juhani Pallasmaa, and Richard Shusterman, among others, range from an integrated mind-body approach to chair design, to Zen Buddhist notions of mindfulness, to theoretical accounts of existential relationships with buildings, to present a full spectrum of possible inquiries. By placing the body in the center of design, Rethinking Aesthetics opens new directions for rethinking the limits of both essentialism and skepticism. Ritu Bhatt received her PhD in history, theory, and criticism of architecture at MIT and has taught at departments of architecture, rhetoric, and comparative literature at UC Berkeley and the University of Minnesota, USA.